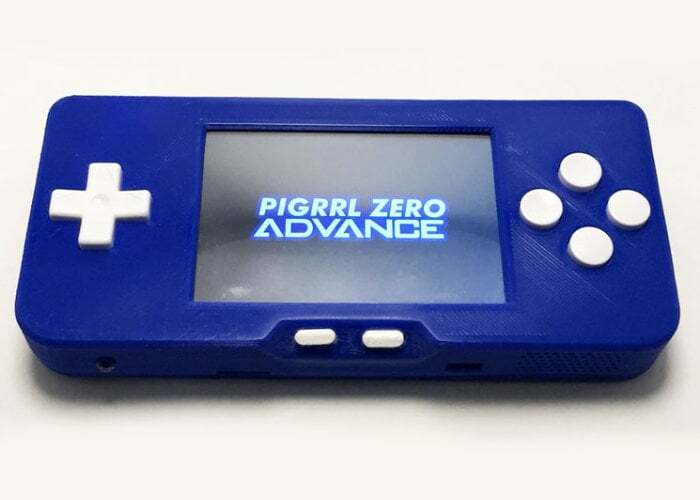 3DPrintspace has refined the design of the original PiGRRL Zero pocket-sized games console over the last 12 months and has now published details on how you can create your very own aptly named, PiGRRL Zero Advance. As well as making the pocket games console easier to construct, some of the goals and enhancements within the latest PiGRRL Zero Advance include. – Lower the entry level for a DIY project and making it even easier to start and build. – Cut down the build time, and reduce the chances for error during fabrication. – Incorporate all the design suggestions and ideas that have been made since the first project. – Make the design slimmer, cleaner and just generally look more professional. Check out the videos below to learn more about the features, build and enhancements incorporated into the PiGRRL Zero Advance games console, which is deafening on my list of things to build in the near future. Jump over to the 3DPrintspace website via the link below for full instructions on how to build your very own PiGRRL Zero Advance DIY pocket games console using the awesome Raspberry Pi Zero mini PC.